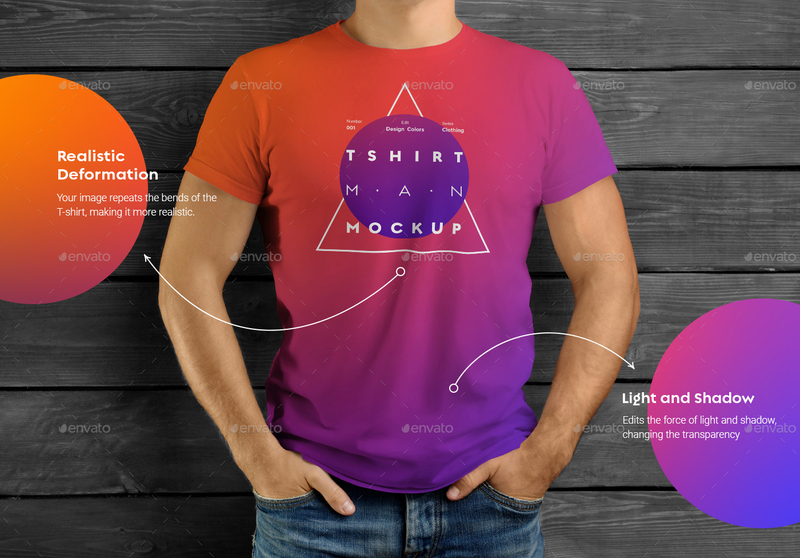 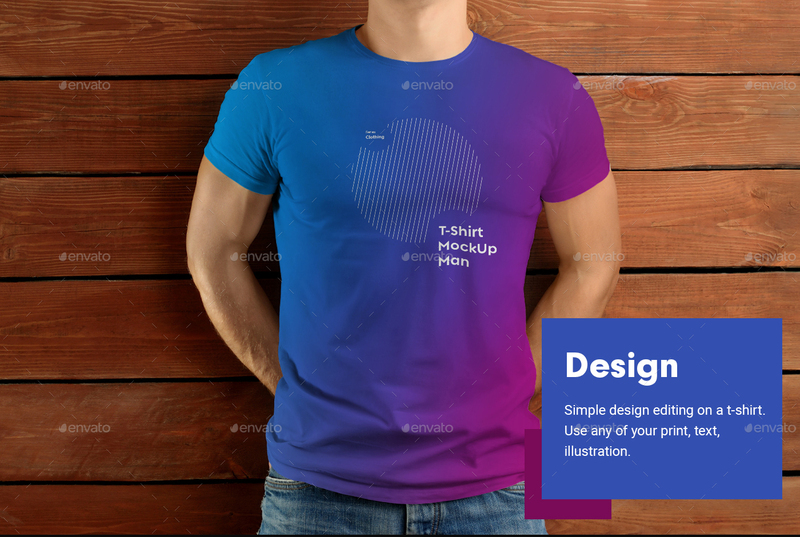 Templates of mockup t-shirt on the body of an athletic man on wooden background. 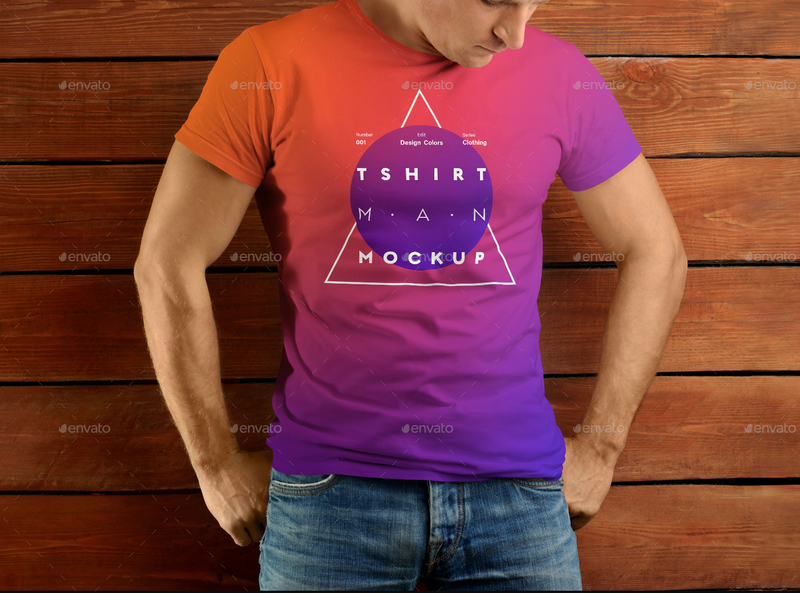 Design is easy in customizing images design, t-shirt color, tint the background in any shade or discoloration. 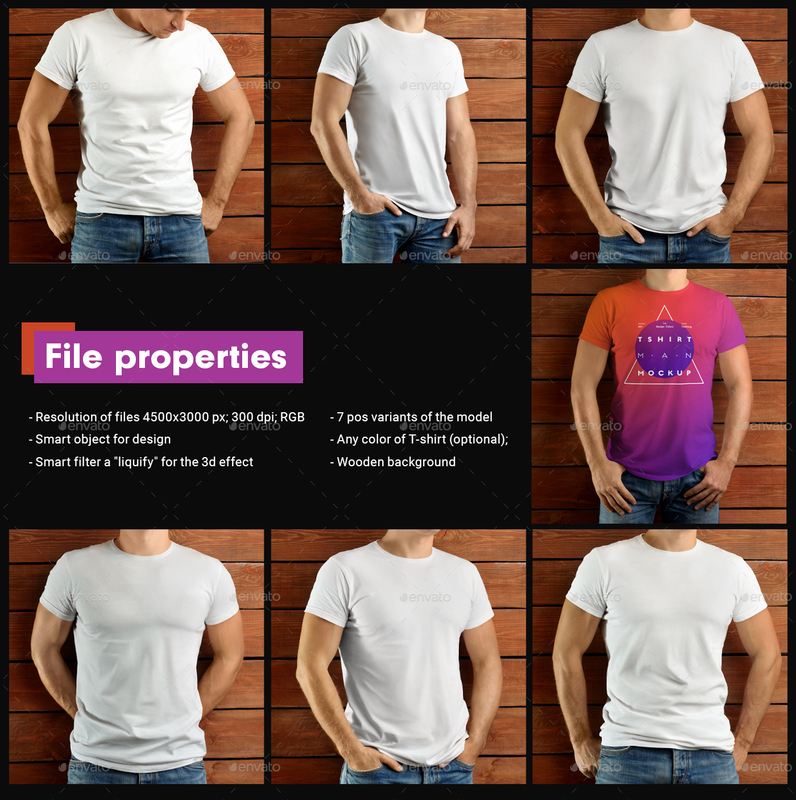 All layers are organized, renamed and marked for a better ergonomics of the files and an easy to use. 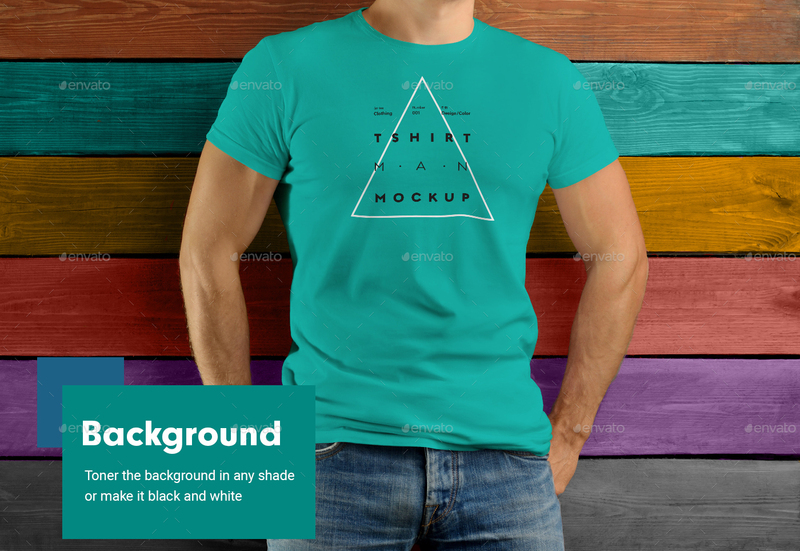 You can easily change the pattern on the T-shirt to any other. 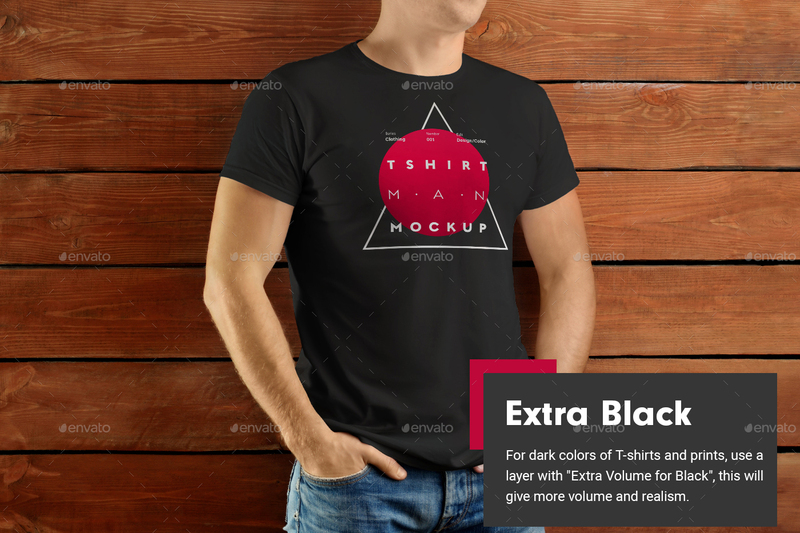 To make the design more realistic, the “liquify” effect is used, that the T-shirt design will turn the shape of the bends and folds on the T-shirt. 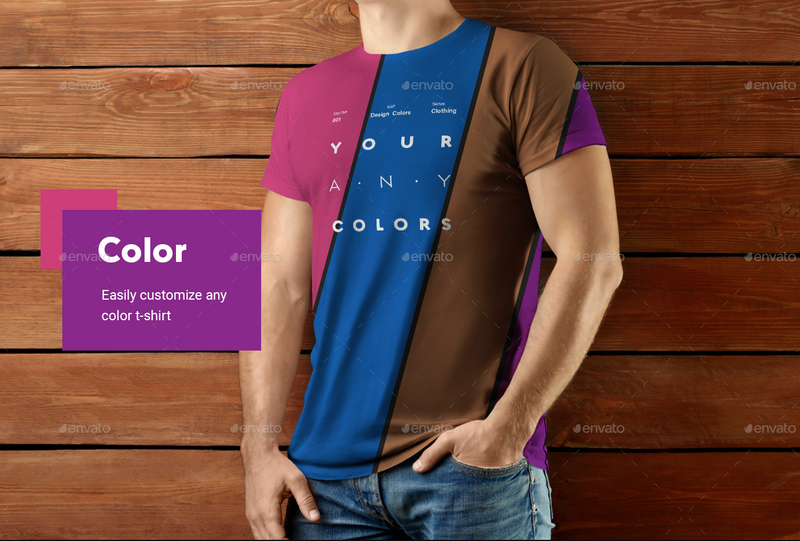 (optional; you can turn off the smart filter) All copyrights to the images belong to me.